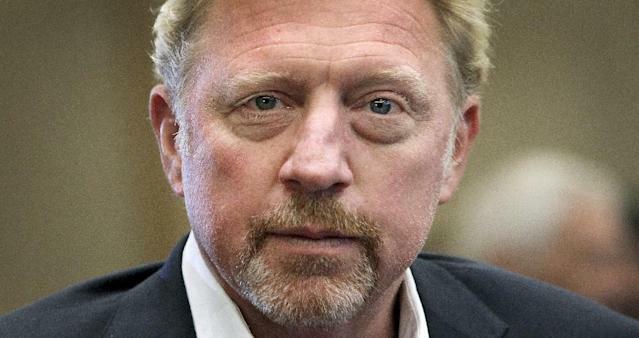 London (AFP) - Tennis legend Boris Becker on Friday insisted that his Central African Republic diplomatic passport, which he claims entitles him to immunity in bankruptcy proceedings, was real despite the country's leaders calling it a "fake". "I have received this passport from the ambassador, I have spoken to the president on many occasions, it was an official inauguration," the German star told BBC's Andrew Marr. "I believe the documents they are giving me must be right". Lawyers for the three-time Wimbledon champion lodged a claim in the High Court in Britain saying that he had been appointed a sports attache for the CAR to the European Union (EU) in April. This, they argued, granted him immunity under the 1961 Vienna Diplomatic Convention on Diplomatic Relations from bankruptcy proceedings over failure to pay a long-standing debt in Britain. Bur CAR leaders say the document's serial number corresponded to one of a batch of "new passports that were stolen in 2014." In April, the 50-year-old former tennis star tweeted a picture of himself shaking hands with CAR President Faustin-Archange Touadera at a meeting in Brussels. Becker told Marr he was "very happy anytime soon to visit Bangui, the capital and to speak to the people, personally about how we can move forward and how can we resolve this misunderstanding". He went on to enjoy a glittering career and amassed more than $25 million (21.65 million euros) in prize money.